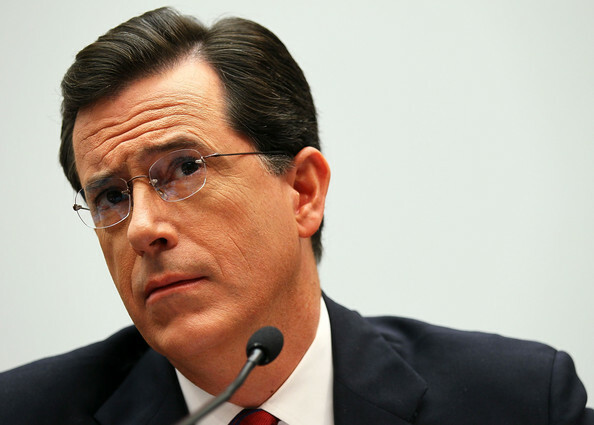 Comedian Stephen Colbert listens during a hearing before the Immigration, Citizenship, Refugees, Border Security, and International Law Subcommittee of the House Judiciary Committee September 24, 2010 on Capitol Hill in Washington, DC. The hearing was to examine the needs of immigration agricultural workers for the farming industry. Stephen looks very sophisticated in this groomed 'do.